Before any building works can commence it is essential the correct planning procedures are taken and suitable planning permission is granted. 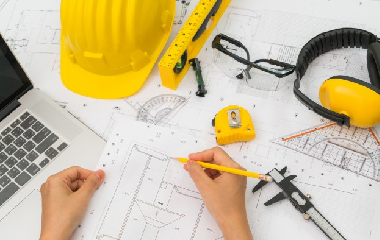 PPM is an expert in this field and is able to manage your planning requirements right from design to approval so you can relax while we get to work and most importantly keep you well informed throughout the process. For smaller jobs we have an in-house CAD draughtsman who is able to design plans from a refurbishment to a new build house, whilst having the experience and knowledge to work within building regulations and liaise directly with your local planning department. Once you are satisfied with the plans we've designed, we'll submit the proposal to the planning office ourselves. This internalises design overheads as well as reducing turn around time, allowing us to be more efficient thus reducing your overall design costs. On larger jobs we use associate architects with whom we've forged strong relationships over the years and can therefore successfully design your ideal home and efficiently work with us so we can build it into reality.